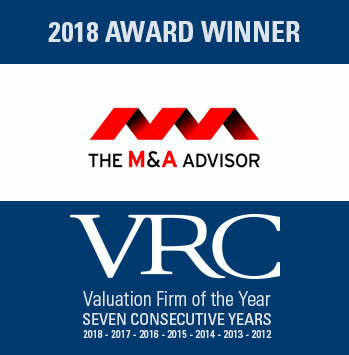 Valuation Research Corporation (VRC), a leading provider of third-party, independent valuation and advisory services, was named Valuation Firm of the Year for the seventh year in a row by the International M&A Awards. The 10th Annual International M&A Awards were selected from over 250 individual global companies. An independent panel of 22 M&A industry experts determined the award recipients. VRC will be recognized at the 2018 International M&A Awards during a Black-Tie Gala on Monday, June 18 at the Princeton Club in Manhattan. For a detailed list of the award finalists, please click here. The M&A Advisor was founded in 1998 to offer insights and intelligence on M&A activities. They have established a leading conference series and a premier global network of M&A, Turnaround and Finance professionals.